After I had lived in Africa and been in a few rough situations, I made a decision to learn a martial art seriously and obtain the ability to defend myself. A few months later I moved to Thailand and trained in Muay Thai full time. How did you decide on your chosen Martial Art? I wanted to be able to learn to kick and punch as well as use my knees and elbows so I initially chose to pursue Muay Thai in Thailand where I was thrown into the ring to spar and clinch with guys everyday! Then when I moved to Melbourne I thought that I would give MMA a go so I can also add some Jiu-Jitsu to my arsenal and by that time I was more than comfortable to grapple and roll with boys. It actually feels pretty good to beat up someone bigger than you! What was your first experience like at Legends? I walked in, met the MMA trainer Chris and knew straight away that this is the guy I want to train with! What is your favourite thing about Legends? The trainers! I have trained with some of the world’s best champions before, but never have I met someone who cares about his students as much as Chris does. He understands that martial art is for life, not just for a few minutes in the ring! There are gyms where the trainers may be incredible fighters themselves, but if they don’t even know their students by name then how will they know your strengths, your weaknesses and your goals let alone help you achieve them? Chris not only knows us individually, he also looks out for us and takes our goals seriously. 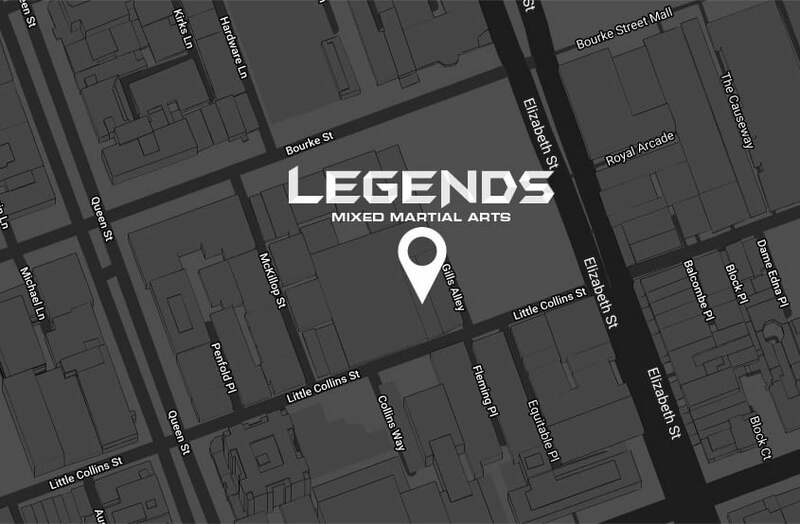 How has your training developed with the support of your trainers and team mates at Legend? 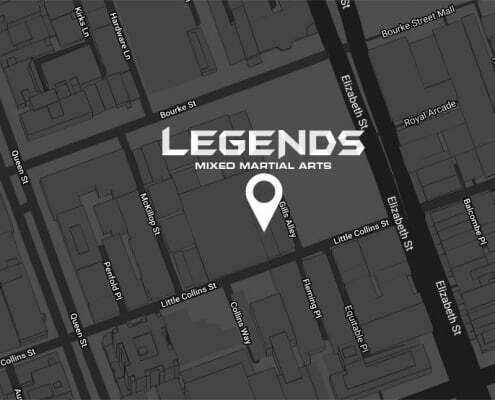 When I first started training MMA at Legends I was stiff with my previous Muay Thai fighting style and completely useless on the ground after I get taken down. My training is a constant learning process from watching how the trainers move, listening to their experienced advice and then practicing with other team mates. Wanting to learn self defense and to be able to protect myself keeps me motivated! As well as wanting to be fitter, leaner, and learning something cool like martial arts! Just the fact that I am training consistently makes me proud! As well as the confidence martial art gives me on protecting myself. How has taking up Martial Arts changed your life outside the gym? I now have a topic that I can speak to my colleagues and friends with! It is surprising how easy people open up while talking about the UFC and how many people are interested in the topic! Fighting competitively may not be for everyone, but keeping your body fit and protected from rough situations is for everyone! And who knows, maybe you will fall in love with martial arts like I have, and one day you could become a UFC superstar!